If you are looking for a little something extra to play on your day off of work, perhaps a great deal on a top notch co-op PC game will fill the void? 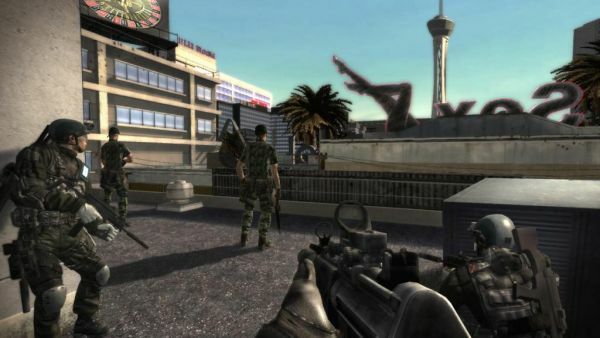 Steam is offering Rainbow Six Vegas 2 for only $9.99 with three bonus maps. We reviewed this game earlier last year on the Xbox 360 and gave it pretty good marks. For only $9.99 it's a steal! Look, I made it the whole post without some lame - "what happens in Vegas stays in Vegas" joke!